My last classroom had a sensory room. It was basically a little room (about 6 ft. X 5 ft) that we painted the walls black and added a variety of sensory things. 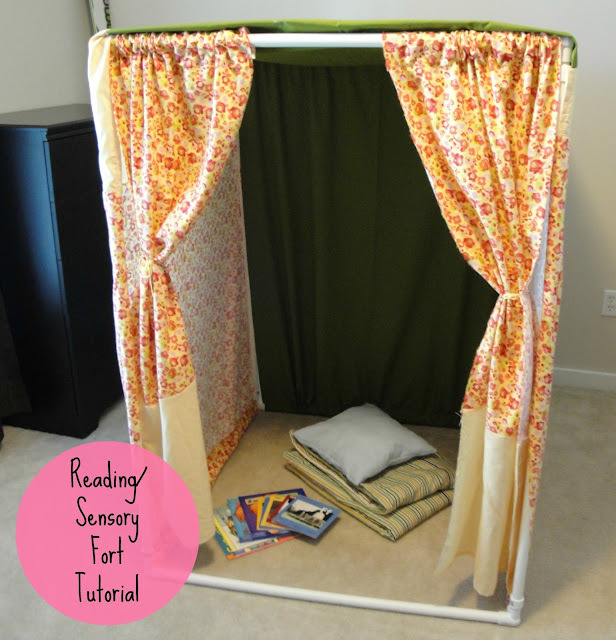 I made this sensory stand for the room, and bought a lot of materials for the room, including a disco ball, a variety of light shows, a black light, glow in the dark objects, textured posters, and much more. When I found out my new classroom doesn't have a closet or area for a sensory room, I was pretty bummed because I already have so many sensory objects that my students will LOVE. My solution was building this little tent/fort to have light shows and other sensory objects in. 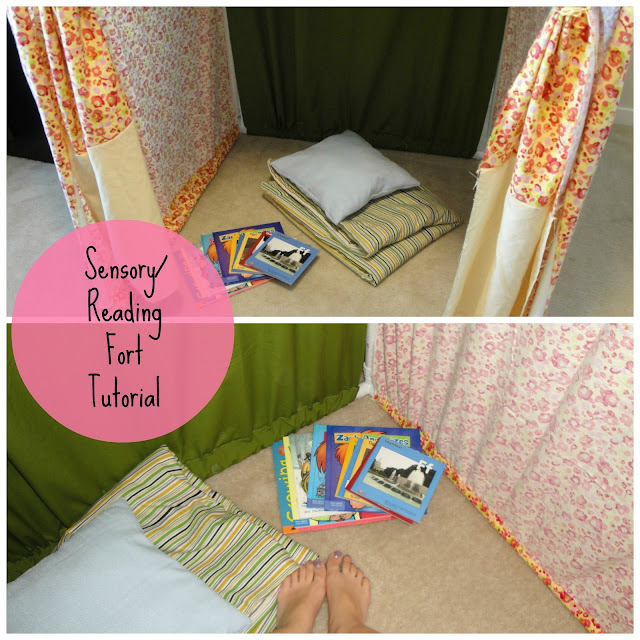 This fort would also be a great reading station or "calm-down" area. It was a little pricey to make, but totally worth it. I spent about $40 at Home Depot on the supplies for the frame and then about $25 on fabric at Joann's. Note: my fort is about 3.5 ft X 3.5 ft and is 4 ft. tall. 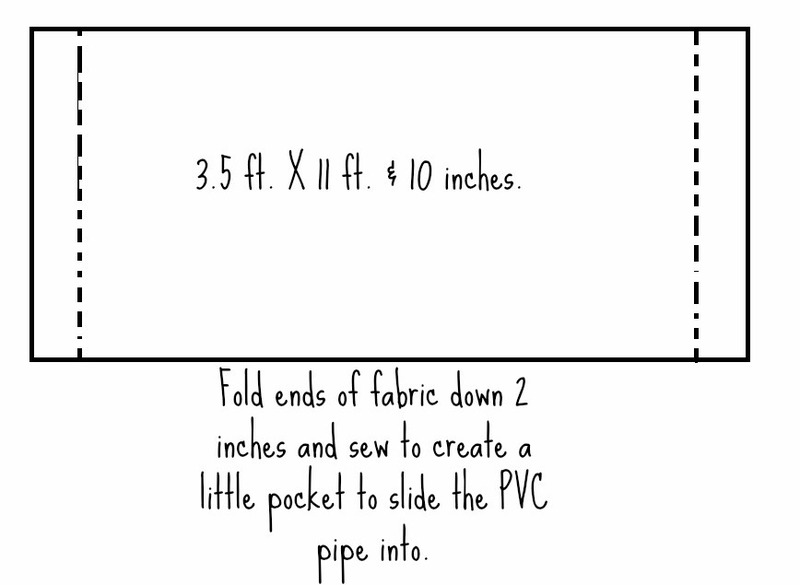 You can make it bigger or smaller and adjust the lengths of your PVC pipes and fabric. I added links to the products I used because I know that the names of the supplies sound confusing. -About 6.5 yards of fabric. 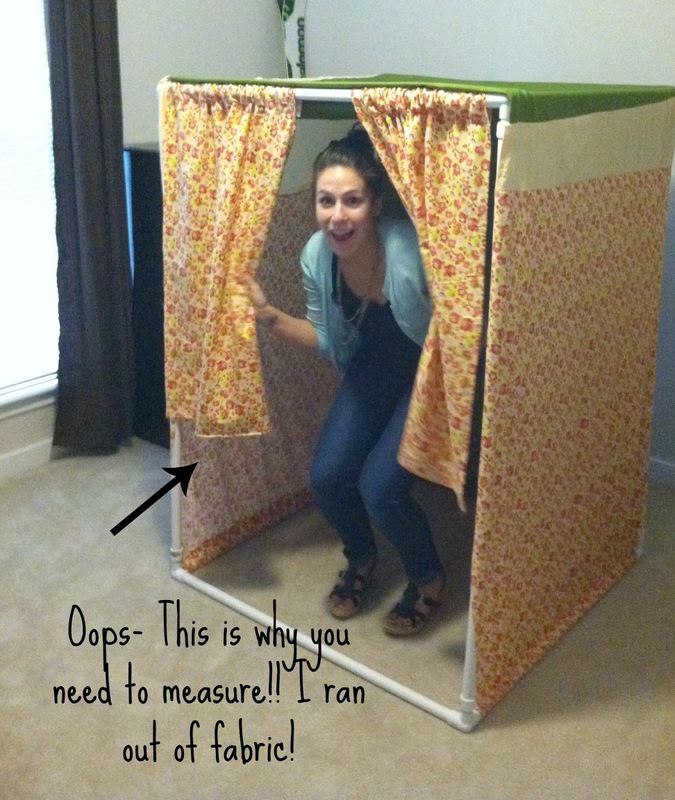 (NOTE: Measure the sides and top of your fort and add about a yard to this measurement to allow for seams. I estimated my measurements and ended up not having enough fabric so I had to use old sheets to finish my project). 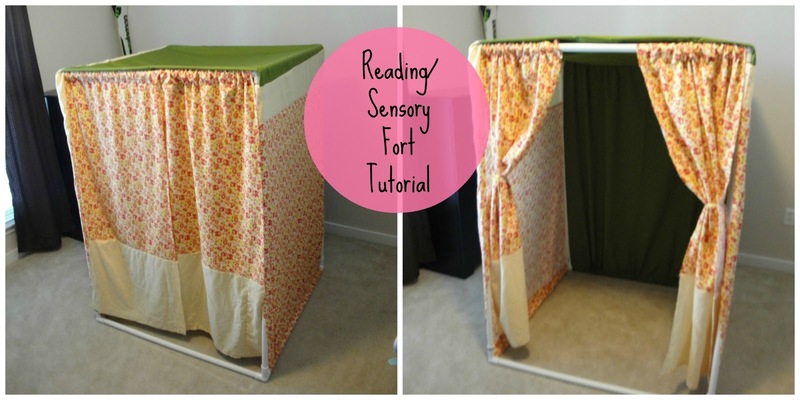 Note: This tutorial is pretty basic, the frame of the fort is easy to build if you just look at the pictures. -Screw 1 PVC fitting into each 90-degree slip. 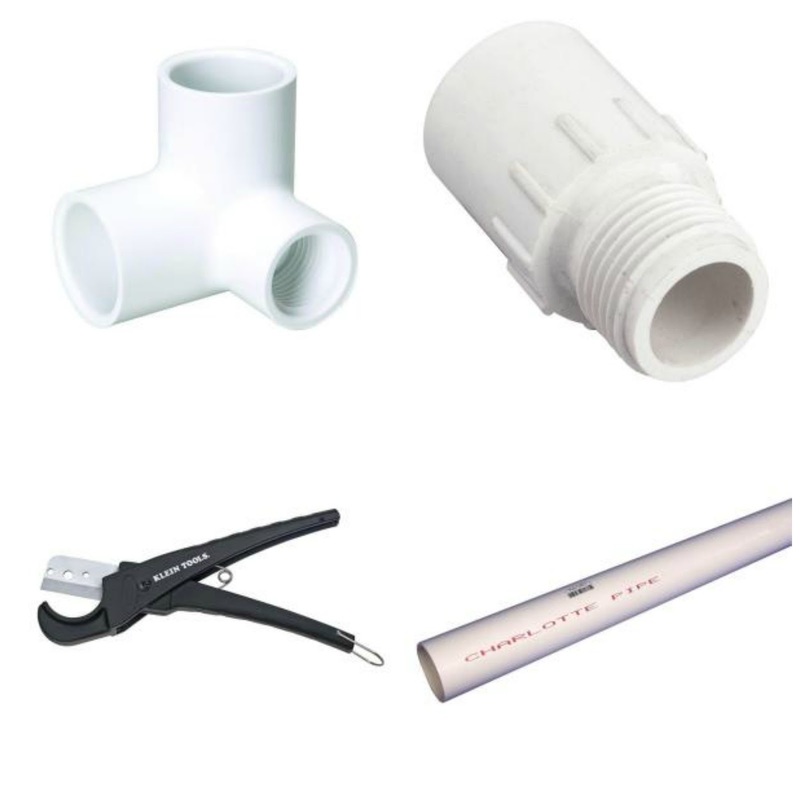 -Then create two squares of PVC pipe by attaching the 3.5 ft. PVC pipes to the 90-degree slips. -Cut 4 pieces of PVC pipe that are 4 ft. long (the sides of the fort). -Attach the two squares with the 4 ft. pieces of PVC pipe. -Next you need to sew your curtains. 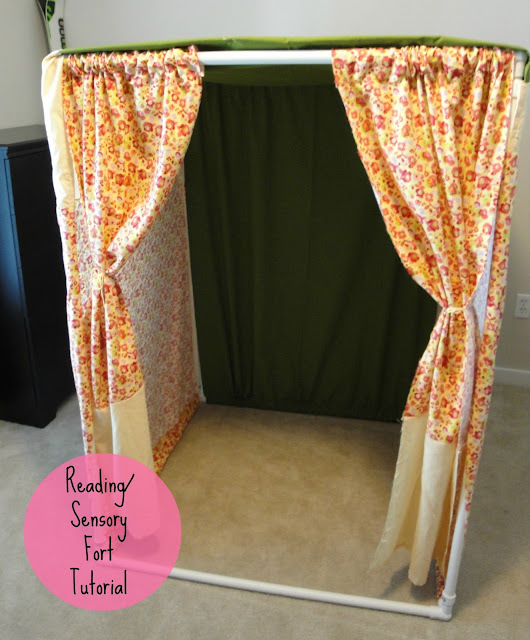 -I made the front curtains with this tutorial. (Modifying the measurements of course) Also, instead of using one big curtain, I cut the curtain in half. Then slip the pocket of the curtain over the PVC pipe. -Next sew the sides and top of the fort. I sewed ONE long piece of fabric for the two sides (right next to the front) and the top of the fort. Make sure that you measure the size of the two sides and top of your fort before cutting and sewing. Mine measured 3.5 ft. X 11.5 ft. And I added 4 inches to the 11.5 ft. to created the folded pockets. I did this by sewing according to this diagram. -Put the sides and top onto the fort by inserting the PVC pipe into the little pockets you sewed. -Last, you need to sew the back of the fort. Measured the back of the fort and add 4 inches to the length. Fold the top and bottom over 2 inches and sew little pockets just as you did for the sides and top. Slide the PVC pipe into the pockets you sewed. And you're finished! If you have any questions, leave them in the comment box! I tried to be clear in the directions, but it was somewhat hard to explain. I'm happy to help if this tutorial isn't clear enough! 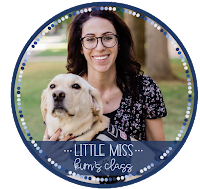 I am a new special education teacher/blogger. I found you through a comment you left on the blog "A Special Sparkle". I subbed upon graduating, but will begin my first teaching position in the fall. How long have you been teaching? I am also in my 20's, so this is why I was curious. I love love love this idea!! I may steal it. ;-) I am now following you. Very cool blog! Hey Tasha!! Thanks for stopping by my blog! This is only my 2nd year of teaching. What grades will you be teaching in the fall? My first year of teaching was a total crazy whirl-wind but SO amazing at the same time! I'd love to get to know each other and swap spe. ed ideas! This is so cool! I love the look and it looks fairly simple to build. I would love to make one of these for my son, maybe when we aren't living in an apartment anymore! So clever and so awesome!!! Going to Bunnings ASAP!!! Lovely little reading fort. Thank you so much for linking up to my linky party. Hope to see more from you next time. web can be a lot more useful than ever before. Congratulations to all of the participants of this program. public schools in east delhi I bet they learned a lot from the project. This will help me for a school project. Keep the posts coming.